Welcome .... we are a small Scottish publishing company based in the beautiful island of Colonsay. We stock an excellent list of hard to find and high quality titles and take pride in offering service of the highest standard. Please take a moment to read our Mission Statement. Please see our Newsletter for latest information - the full catalogue is here. You may purchase in confidence from this site by using the "Buy Now" button - the transaction is conducted by PayPal who fully protect your financial privacy. Supply for many titles is Post Free in UK and prices are given to all other destinations inclusive of Airmail postage (just use the drop-down list to select UK, Europe or Rest of the World). Currency conversion is automatic. A few of our titles are listed below and the rest may be explored through the dropdown lists alongside, or via our Full Catalogue (the topmost option). Thank you for visiting House of Lochar. This magisterial study has been published in 4 Volumes, is the single most significant reference work to the clans and septs of all variants of the name and includes every county in Ireland as well as descendant families in Europe and the New World. The series contains comprehensive historical and incomparable genealogical information - an extraordinary and unique resource. A guide to the major and minor monuments and traditions of this fascinating Hebridean island, together with detailed suggested walking routes and full-colour illustrations. This magisterial work was first published in 1895, and only 250 copies were printed. Copies are now very rare indeed and cost many hundreds of pounds, making them too valuable for normal use. House of Lochar is delighted to publish this facsimile edition. Please see more details here, and place your secure on-line order at discounted price. 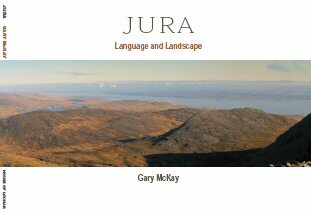 An exciting book full of extraordinary and beautiful images - a mixture of familiar views and more personal detail, which will bring Colonsay "heart-stoppingly" to mind at the turn of every page. 44 pages with more than 200 colour photographs... seas, sand, rocks, wild flowers, good weather and bad, the pier, the Church, Loch Fada and other delightful spots... something special for everyone. The Isle of Jura is, nowadays, home to only a few hundred people yet every corner of this dramatic landscape is steeped in the stories and legends of those who have lived there in the past. The "Paps" of Jura dominate the seascape for miles around yet the island, with no direct ferry link with the Scottish mainland, is familiar to relatively few. This new book, featuring more than fifty photographs of the island, will introduce you to both the its wide open - and "empty" - spaces and its more intimate corners. Gary McKay has illustrated his remarkably detailed images with the traditional stories linked with each location. The Jesuits played an important role in the preservation of the Catholic faith in Scotland from the time of its first mission to Ireland and Scotland in 1541 until the accession of James VI to the English throne in 1603. Twenty years later, following Nicholas de Gouda’s mission to Mary, Queen of Scots, in 1562 there was a significant influx of Scottish recruits though it was a further twenty years before a formal Scottish mission was established.